Unless you’ve been living under a rock for the past few years, you should be pretty familiar with the job aggregation site Indeed. A favorite of ours here at Kinetix, Indeed accounts for 58% of all job-related traffic across the internet according to Silk Road. Apart from job postings, sponsored listings, featured employer profiles, and a candidate-friendly resume database, Indeed also has a pretty neat Job Trends tool that helps employers and candidates get a great feel for the current job landscape across the country. When posting a job on an external site like Indeed, the ultimate goal is to attract attention and eyeballs to your post that eventually convert to applications, right? That all starts with a candidate being able to find your posting among the sea of all others out there. To get in front of the candidates you want to attract, do a little research on their search behavior so you can optimize your posting titles to reach the widest group. One easy way you can use Indeed to find out this info is to gather your potential job titles and run them through their Job Trends comparison tool. Recently, we were asked to do this for a client who had a few ideas on a potential title for a hybrid Database Admin/Data Architect role but couldn’t settle on one they wanted to use. We analyzed four different titles and came up with the data you see below. Email subscribers, please click through to view graphics. The first chart you see above titled “Jobseeker Interest vs Job Postings” is the key piece of data that shows candidate search behavior in relation to available positions. The bottom two graphs give individual snapshots of the two separate pieces of data that were aggregated to create that first chart. When looking at this, the key point that should stand out is the title “Database Administrator” is the only one that has a positive Job Seeker to Posting ratio. That means there are more candidates available with that title than postings on Indeed from other employers. All the other titles have a negative ratio which means candidate supply is diminished—or, the market is saturated—with postings from companies all looking to fill the same position. The second chart confirms that “Database Administrator” has the highest percentage of job seekers relative to the other three titles. If the job description most accurately matches that of a Database Administrator, then it’s a simple case of using that title on your external postings. If the description is more a blend of two positions, combining the top two performing titles, Database Admin and Data Architect, will help cast an even wider net of qualified candidates. Indeed aggregates this data from its own database of candidate resumes and job postings. It also captures candidate search behavior and keeps a repository of search terms as depicted in the second chart above. 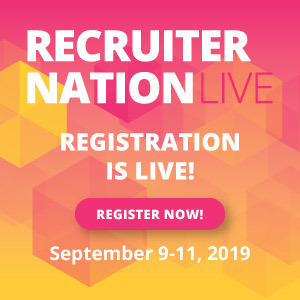 With access to millions of jobs and resumes, Indeed can present an extremely accurate view of the recruiting and job seeker landscape out there. Next time you’re unsure of what to title a position you’re recruiting for, give the Indeed Job Trends tool a try. Think of four or five different titles and compare them across the 3 graphs presented above. Remember that the highest performing titles will have a Positive Job Seeker to Posting Ratio. You’ll also want to make sure it has a higher percentage of job seeker interest relative to the others. A relevant, high-performing job title is the first step in attracting the best candidates you want for your company.